Losses: 814 Aircraft with approximately 3500 aircrew killed or presumed dead. 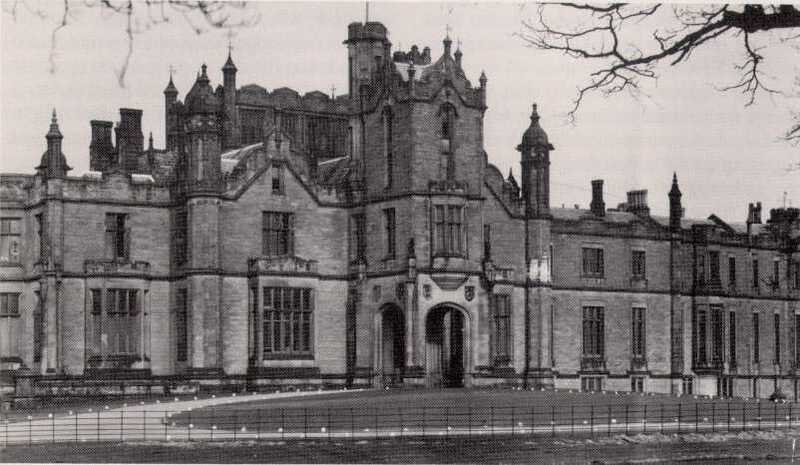 Situated 4 miles east of Knaresborough, a 75 room mansion on a 2000 acre estate, Allerton Park Castle was requisitioned by the Air Ministry from Lord Mowbray. This castle was then transformed into offices and was the administration and operations headquarters of the Canadian [6 Group] Bomber Command. On Dec 6,1942, headquarters was moved from the temporary site at Linton on Ouse to Allerton Park. The 6 Group officially reached operational status at 00.01 on Jan 1,1943. With this in affect, the Canadian squadrons ceased to take orders from 4 Group, and now reported directly to bomber command headquarters in High Wycombe. The financial responsibility for aircraft maintenance and administration was now looked after by the Canadian government. The order of battle will show which squadrons and airfields came on line as of this date. All 6 Group airfields were located in North Yorkshire and therefore had the furthest to fly when attacking most targets. Because of the topographic features in this area, the airfields were close together, and circuits overlapped, making flying hazardous. This,along with fog and industrial smog, made takeoffs and landings very stressful on the aircrews and airfield controllers. Allerton Park was also responsible to insure that all squadrons complied with instructions from bomber command as to routes, bombload, bombing height, and timing over the target. The stations were responsible for accommodation, feeding, and maintenance of squadron aircraft. Click on the following images to see larger versions. If you can name any of the people in the photos, please e-mail me.